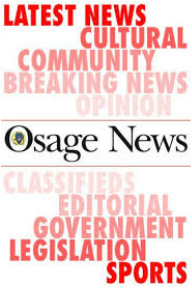 ​Osage News is the newspaper of the Osage Nation. About 50 copies of the Osage News are included in the trunk. The newspaper provides an excellent view of everyday life and current for the Osage people and government. Trunk users can also visit the Osage News website for up-to-date news.